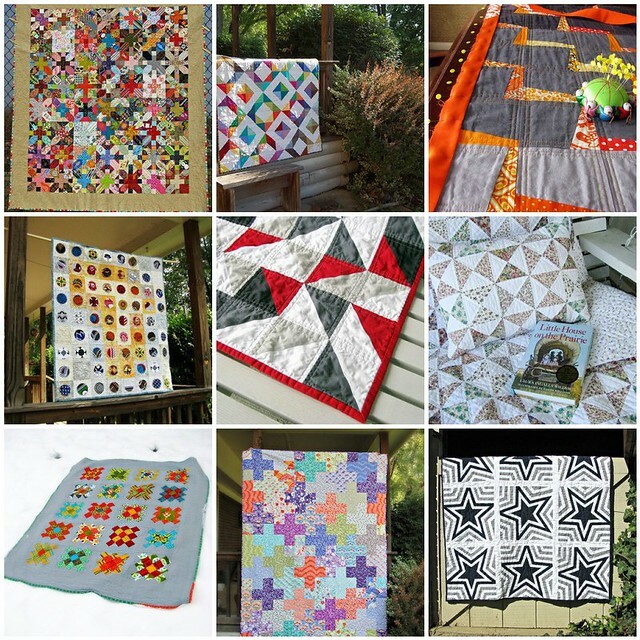 These are just a few of the quilts I made during 2012! I can’t believe what a busy year it was, and I hope I can keep that momentum going into 2013. This year I’ll be concentrating on making quilts for family members and very close friends. I want the people closest to me to know they’re cherished! Wishing you a very happy 2013! Incredible! I’ve got a few quilts I want to make, but I’ll be lucky if I get even one done this year! Gorgeous quilts. I especially like that second one with the transparent effects.